May brings balmy weather, festivals and capricious rain storms to Beijing. The three main festivals, Midi, Strawberry Fields (Is it a reference to Deer Hoof?) and Club 13’s Metal Fest focus on the local burgeoning rock scene and attract a few international artists (this years it’s Sham 69 and Does It Offend You, Yeah?). Ditan Folk Festival, on the other hand, takes a side step from the usual Beijing festival scene to promote the country’s folk musicians. 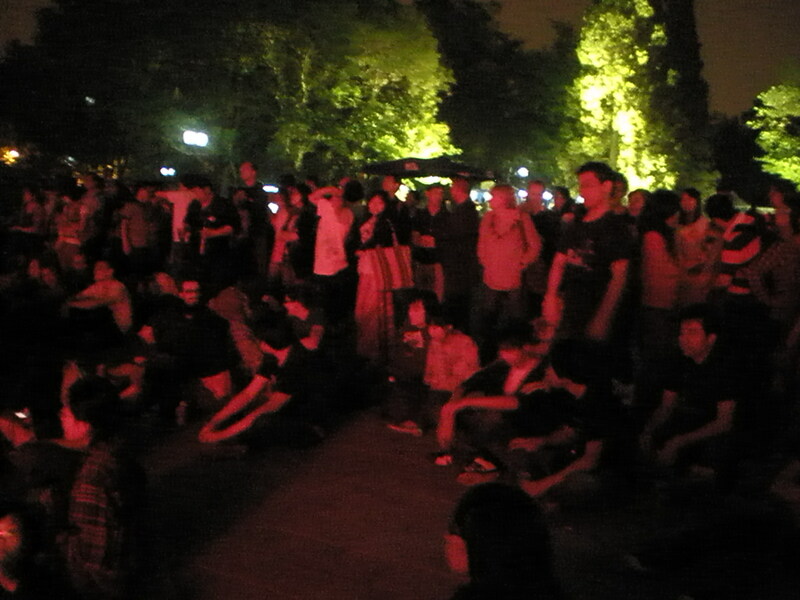 Compared to the other festivals which take place on a large expanse of dead grass and concrete or, in the case of the metal fest, in a dark and foreboding industrial box of smoke and noise, the Folk Festival happens in the most interesting of places: the grounds of an ancient sacrificial temple. 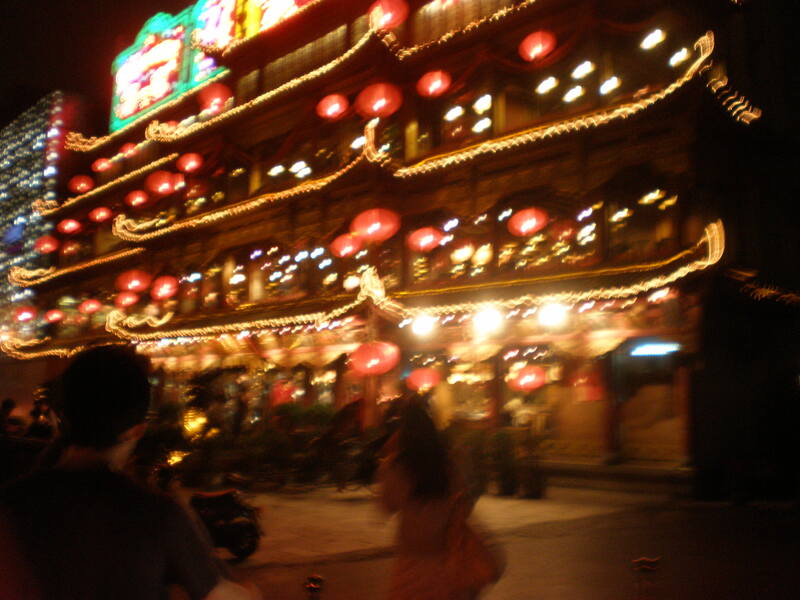 The name Ditan 地坛 means Temple of the Earth in Chinese. 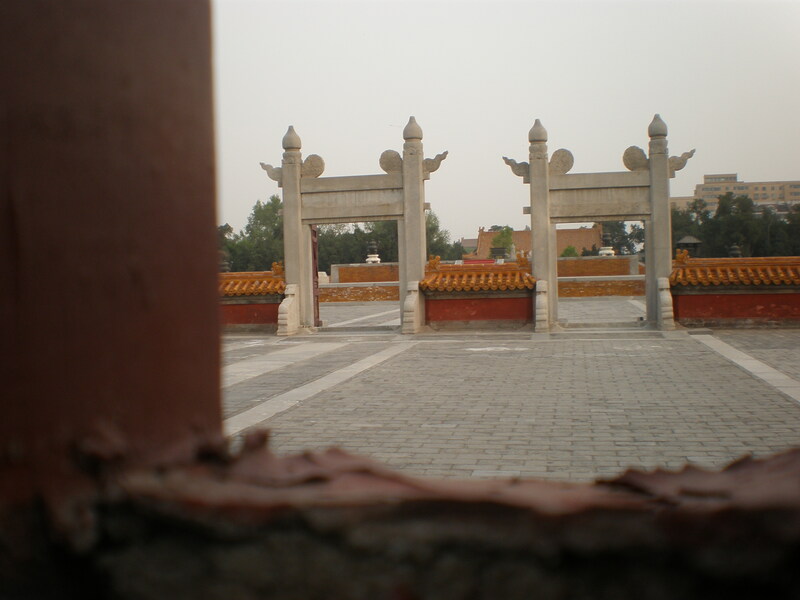 Here was where emperors of the Ming and Qing dynasty would come to give sacrifices to the God of the Earth. 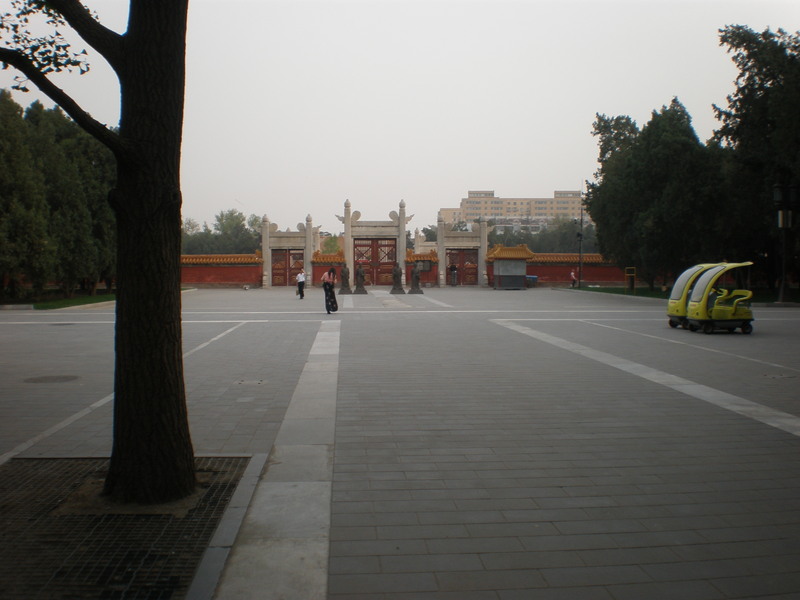 The original sacrificial alter lies in the centre of the park, but remains closed off to the public. Perhaps an ancient sacrificial temple might seem like an incongruous place for hippy folk lovers to flock to, however the festival took part in the shady grounds of the sleepy park which actually blend rather well with the idea of folk music. I’d like to be able to wax lyrical about how the music transported me away on a dream of traditional Chinese instruments and haunting melodies, but unfortunately the day I attended the festival had slightly disappointing acts. Much of the music came in the form of insipid gentle rock on key boards whilst the bad stood motionless on stage or, the case of the Hoochie Coochie Gentlemen, naff funky blues music wrapped around a mouth organ and a pair of sunglasses owned by your dad. I was expecting a diverse range of musicians that reflected China’s diverse ethnicities and geography. The highlights of the day appeared towards the end of the evening. 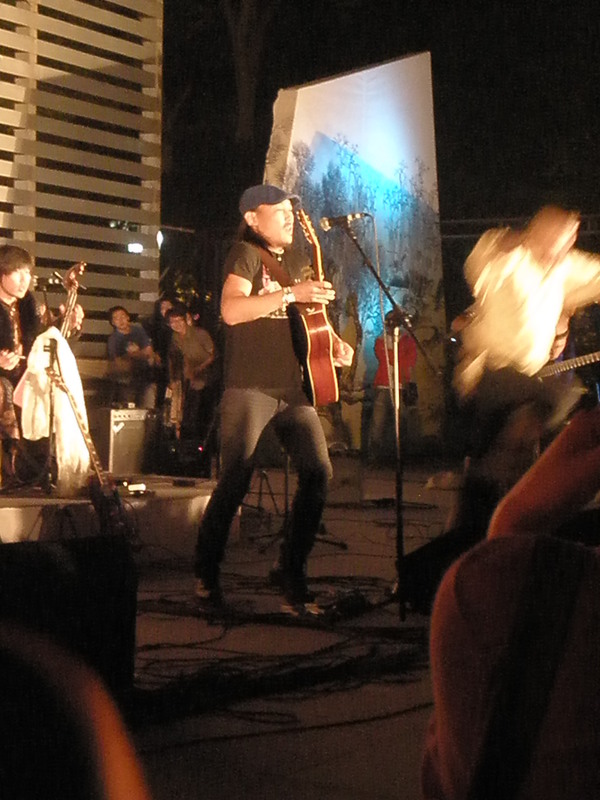 Zhang Quan captivated the crowd with his guitar, lute and harmonica bringing the sounds from the desert of eastern China to the festival. 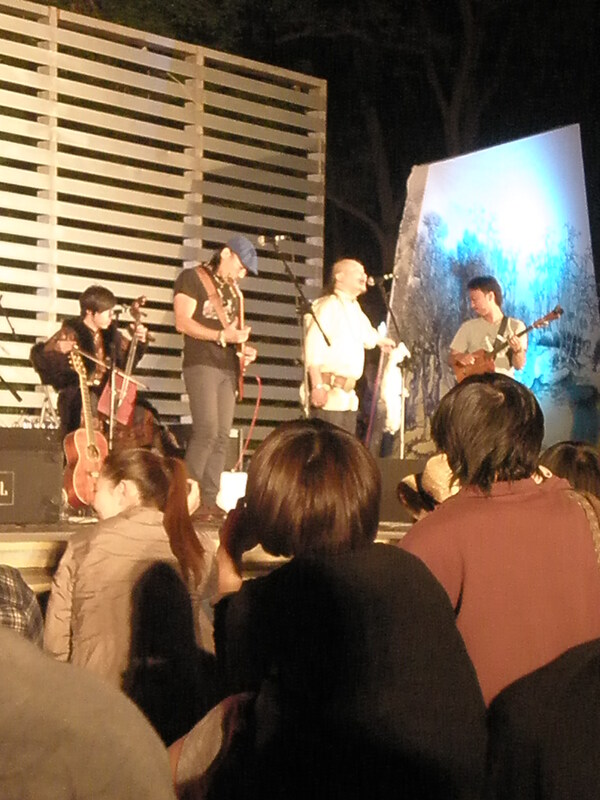 There were two notable western acts, one of whom came the form of the all American blue grass band, The Redbucks. The other was Zhang Si’an (check out Xiwang), a French singer who combines Mandarin lyrics with gypsy jazz and a sitar-type instrument. Zhang Si'an (I've been unable to find out who his Chinese bongo tapping side-kick was) surrounded by bubbles and impressing the Chinese audience with his flawless Mandarin. The absolute gold studded highlight of the evening came in the form of Hanggai. 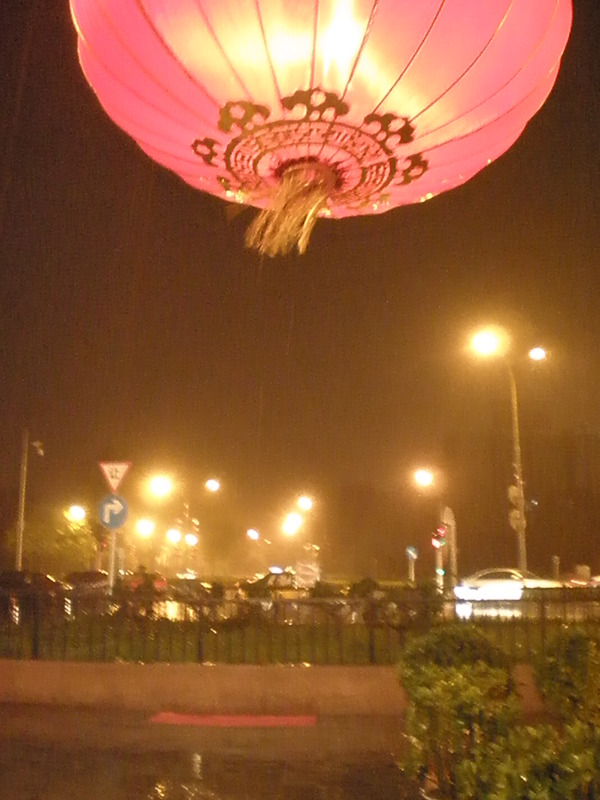 Hanggai hail from Inner Mongolia, and eastern China. 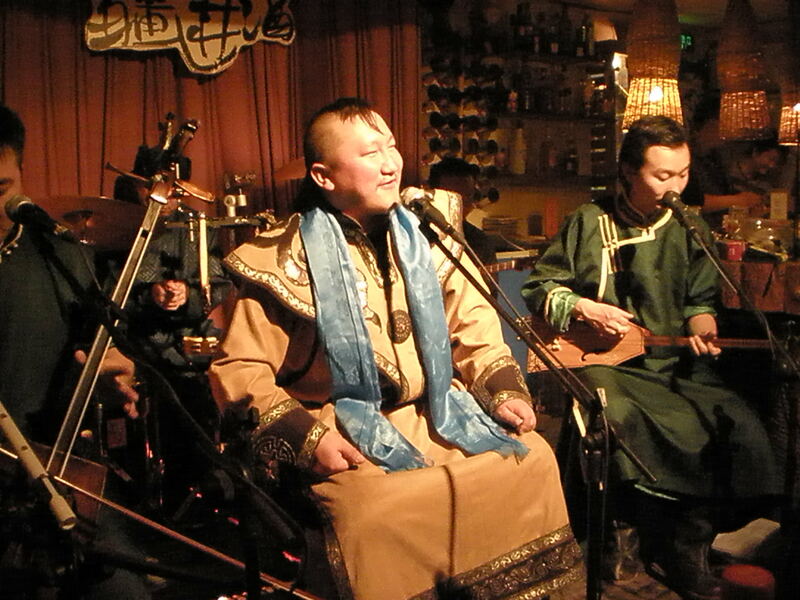 They blend traditional Mongolian folk songs and throat singing with big drums, electric guitars and an ex-punk band front man. In fact, their influences (besides traditional Mongolian music) include Rage Against the Machine, Radiohead, Electrelane and Neil Young. 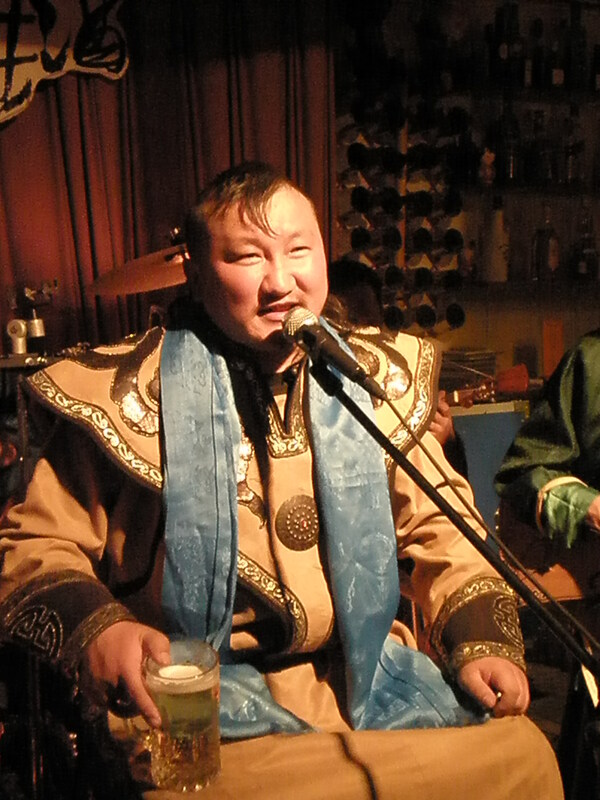 However, fear not, they don’t attempt to do novelty Mongolian covers of songs by their favourite western artists. Instead, their music explores the idea of strengthening Mongolian cultural identity in China, which is gradually being eroded by mainstream Chinese culture. Their sound is perhaps similar to what Gogol Bordello would sound like had they combined forces with Sigur Ros, stormed into Dadu with Kublai Khan and were partial to throat singing. Hanggai are also regarded by Chinese people as Chinese, but Westerners see them as explicitly Mongolian. In fact, all of the band members grew up in China (Inner Mongolia is a Chinese autonomous region) with their Mongolian parents, but were taught little knowledge of their ancestral culture. 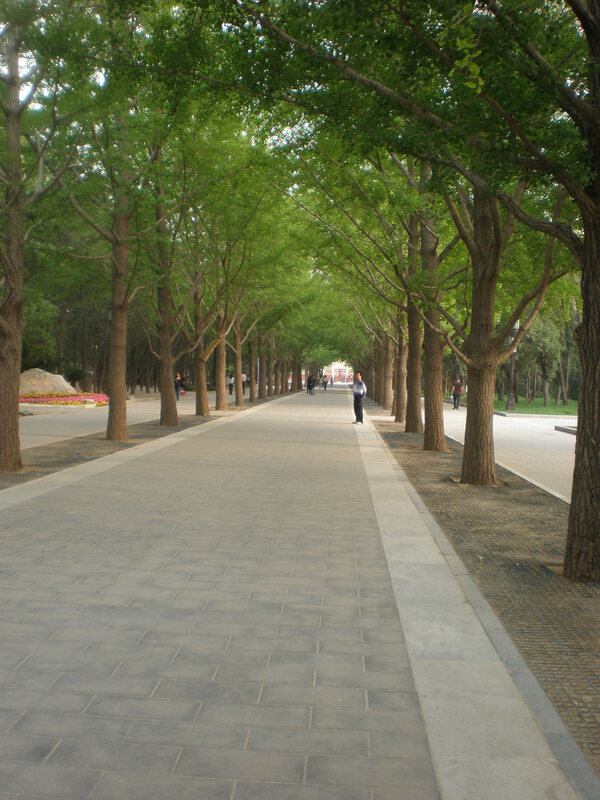 Hanggai’s producer, Robin Haller, made the analogy that Chinese people see Hanggai as Chinese musicians in the same way English people may call Celtic musicians British. Although, the analogy ends there: the relationship and history between China and the nomads of Tibet, Xinjiang and Mongolia isn’t a simple one. 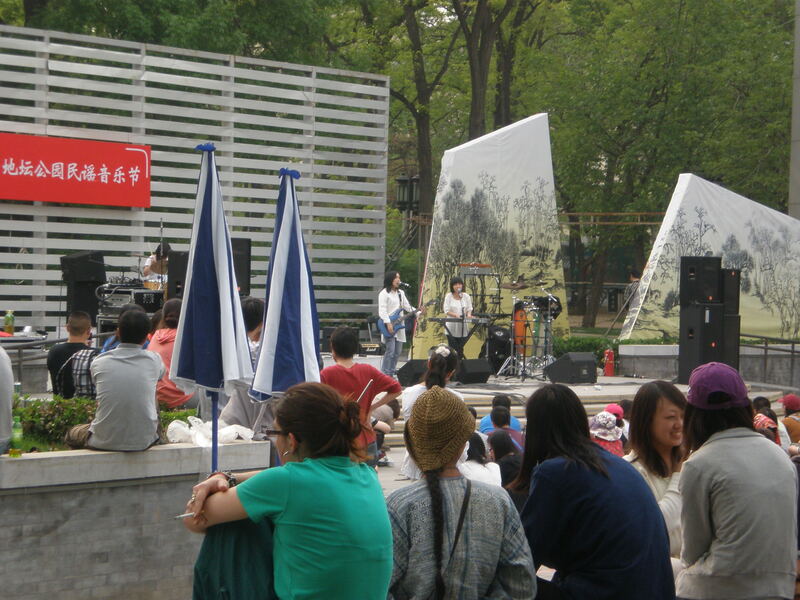 Having seen Hanggai four times, but all in rather intimate sit down bars, I was rather intrigued to see how they would cope on a large stage outdoors. 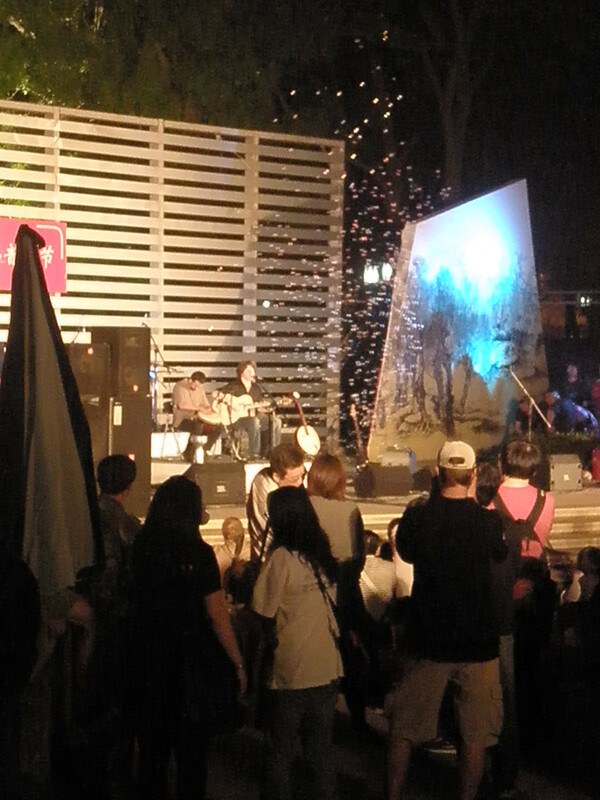 They were exhilarating; I was blown away by the energy on stage and the performance given by the lead singer. They had the crowd on their feet and half the audience on the stage dancing along to the heart racing rhythm by the end of the set. 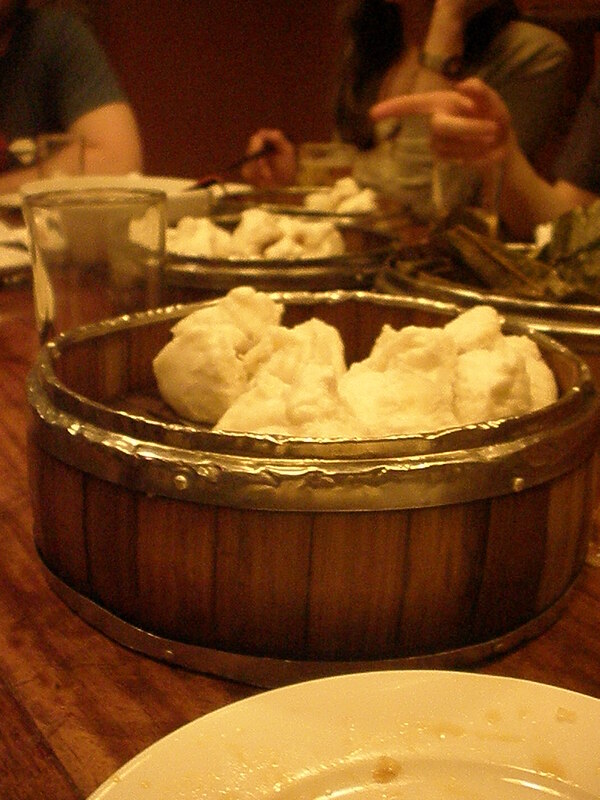 With the festival over and nightfall having descended, we left the park and headed to a close by Dim Sum restaurant, which resembled the bathhouse from Sprited Away. Upon leaving, an unexpected rain cloud burst overhead whilst we worked out how to get home.